LEGIT STUFF FOR THE PRICE OF FAKE STUFF. That's what outlet shopping in Bali is like. Ever since I decided to "collect memories instead of things", shopping has taken a backseat during my travels....except in Bali. And then on the 3rd day, I had a clearer concept of IDR conversion. 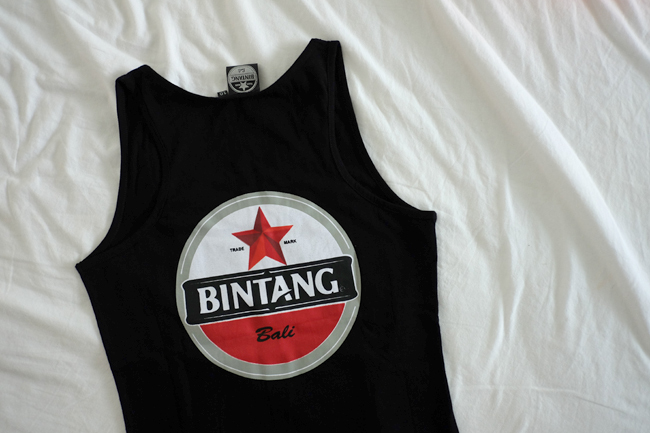 That's when I realized I could get a branded shirt from Quiksilver/ONeil/Hurley for the price of a bottle of Bintang. TOPSHOP, Desigual, MISS SELFRIDGE, Lacoste, New Look, Marks & Spencer, DOROTHY PERKINS, Volcom, NIXON, NIKE, OBEY, Hurley, Billabong, Sports Warehouse and soooo many others! 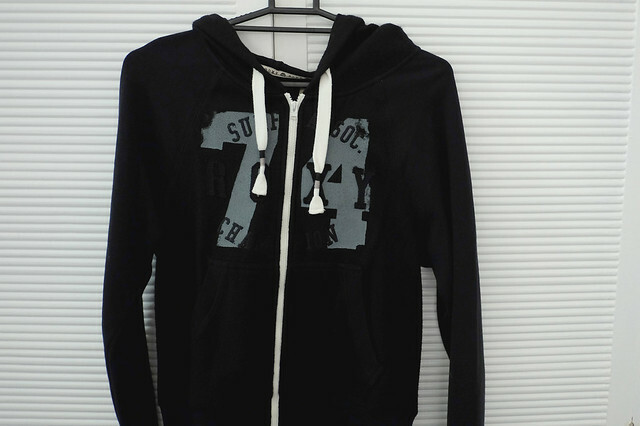 And even more after I tell you that most brands were selling their stuff at 80% off!!! 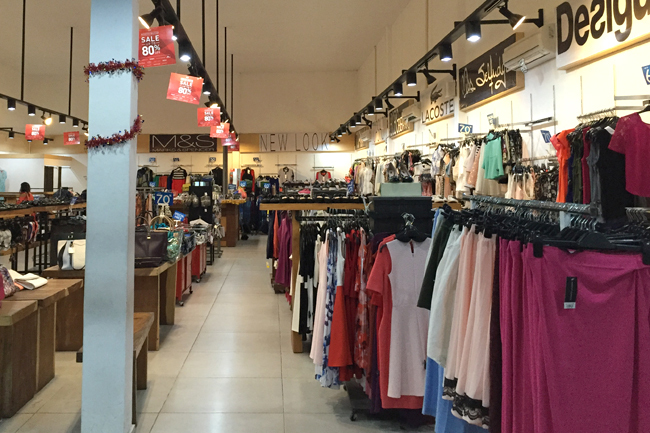 You can get shoes, bags and shirts from Topshop for only P300-P600/$6-$12USD! Jackets beaded, embroidered, sequined, leather what have you...P1000-P1500/$21-$30. I was able to get me a Topshop shirt and a beautiful genuine leather designer belt for less than P1,500. Can you guess how much I paid for everything??? I know, I couldn't believe it myself, I had to convert more than 5 times to make sure and even consult with a local! But yes, that's all it cost me. 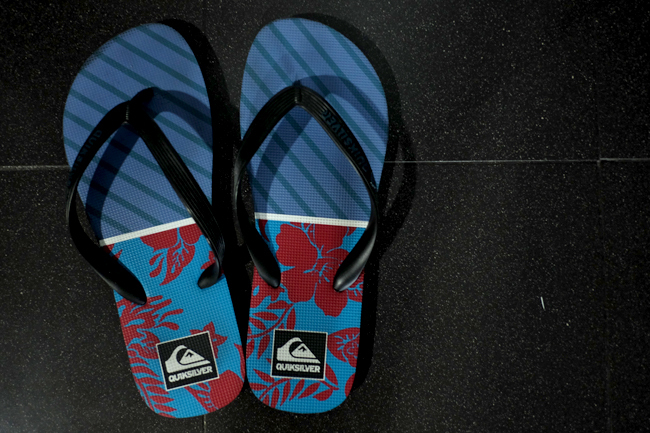 These Quiksilver flip-flops I purchased during a different shopping trip for only 90,000 IDR. Can you guess how much that is in pesos? If you like something, grab it. Don't think twice, someone else will likely get it ahead of you and you'll just end up kicking yourself for passing up a great deal. Presence of mind. Everything is super cheap so it's easy to go overboard and buy everything in sight. No, you don't need 5 pairs of Roxy flip flops even if they're selling for only P150 each! Everything is priced differently. Meaning the same style could have a different price in a different size. So dig deep. Patience. 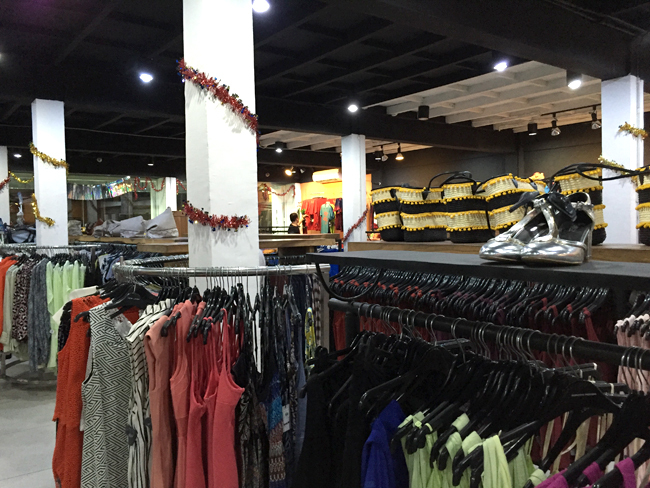 You might feel overwhelmed by the thousands of bikini tops on display for only P300-P500 each. Relax and take your time to go through the different racks. You will love yourself for how much you got to save in the end. If it's your last day, spend all your rupiahs leaving just a bit for transportation and maybe a snack to the airport. 500,000IDR should be okay. Why? It's quite difficult to have Indonesian Rupiahs exchanged and if ever they do accept it, rates can be really, really low so it's best to buy your money's worth while you still can. You won't regret it. I'm very surprised to know that the Billabong Factory Outlet there is the only one in Asia. Thanks for the tips! Great finds by the way! Havent been to Bali but this post will definitely be helpful to me and my friends come 3rd quarter of this year. Thanks. Those tiny shorts are super cute. Wish I had the bod to sport them, hehe. 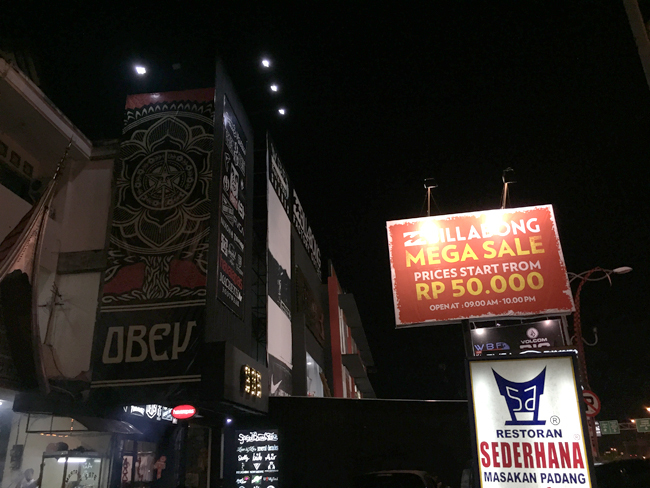 Wow, who knew Bali was a shopping haven! I went outlet shopping in Johor and I found it expensive lol! Mas mura pala dyan. This makes me want to fly to Bali. :D Great finds! Oh wow! Such a steal. Something I will keep in mind if ever we drop by Bali! Great bargains! 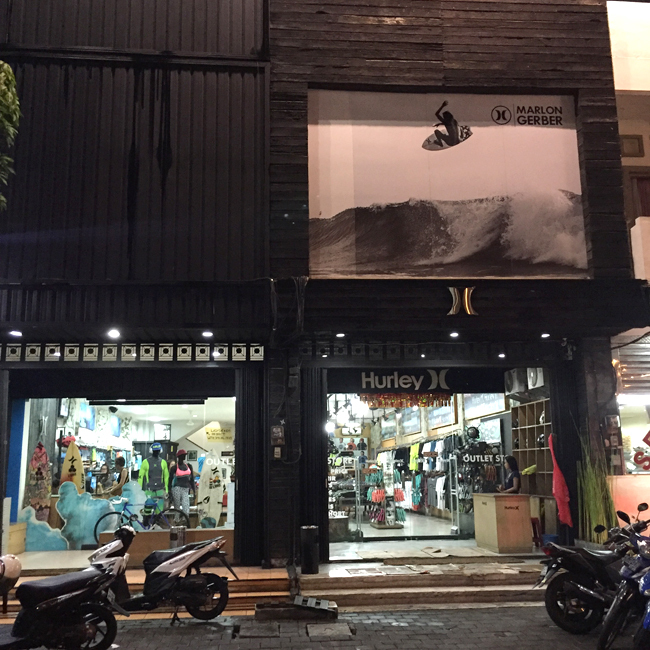 Who knew Bali was a shopping haven? I super love your haul. And now after reading this, I badly want to go to Indonesia! Ooh, sarap mamili dyan ah! Wow so affordable! 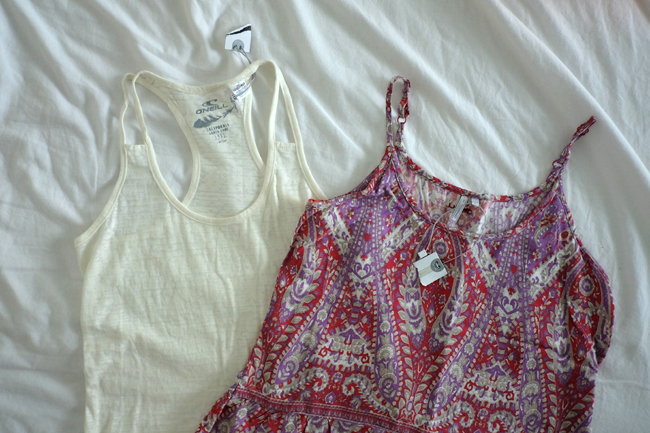 Outlet shopping is the best (at least for me haha). Wanna visit Bali now! Oh my!! But I remember my old teacher loves Bali simply because of that. Shopping!! Saya saya naman. Address /Location for the factory outlet please.. I'm travelling to Bali tomorrow and this seems like a must visit..